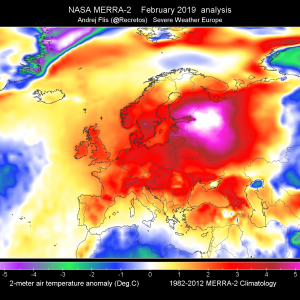 Upper ridge dominates S-SW Europe while a deep trough moves from N to E Europe. Weak upper low remains over Morocco and areas to the west. A short wave trough / upper low moves across E-CNTRL Turkey. A new surface cyclone moves between Iceland and Scotland towards east. 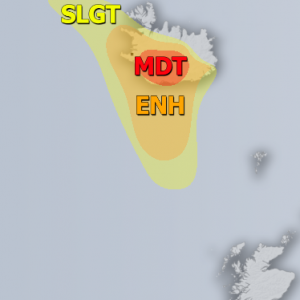 A SLGT risk has been issued for parts of N Atlantic and NW Scotland with threat for non-convective severe winds, locally in excess of 100 km/h. 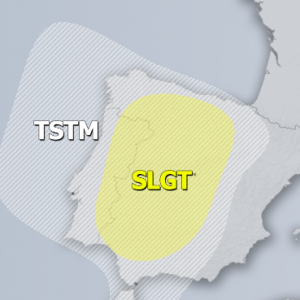 A SLGT risk has been issued for NW Morocco with threat for isolated severe slow moving storms with threat for large hail, severe winds and torrrential rainfall. A SLGT risk has been issued for E Turkey with threat for isolated severe storms with threat for large hail, severe winds and torrrential rainfall.